...or purchase at these locations. 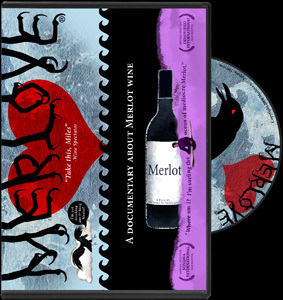 Merlove is a documentary celebrating Merlot wine in response to the movie Sideways. Have the courage to embark on your own wine adventure. Merlove will help you learn more about wine, but it is your own experience that will guide your personal journey. As you try new wines you will gain love and appreciation for the gifts that wine can bring. Like anything in life, wine can be enjoyed and enhanced by sharing it with others. The bottom line is good wine is good wine and bad wine is bad wine, but that should not stop the adventure. The message of Merlove is that no single grape varietal should be singled out as superior or inferior to others. Enjoy as we interweave documentary style filmmaking with the animation of a bottle of Merlot wine named “Merlove” who must find a way to fill itself with love when aimlessly tossed into the ocean of mediocre Merlot wine. "Que Syrah, Shiraz" Our next documentary! This is a film about Syrah wine or should I say Shiraz? Is Syrah from the Rhone region of France or the city of Shiraz in Iran and what about Australia? Could the Romans have brought the varietal from Syracuse, Sicily to the Rhone Valley? How did this grape make its way to the United States? How do you know what to expect from a wine labeled Syrah vs. Shiraz? What part does Petite Sirah play in all of this and why does this varietal have multiple spellings (e.g. Petite Sirah, Petit Syrah, Petite Syrah)? Who will find the truth? We will! 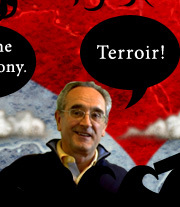 Join us as we travel the world to find the true story of "Que Syrah, Shiraz!" Email us at info@merlove.com if you would like to host a Merlove screening, DVD signing or schedule an appearance. Save Merlove in your Netflix queue!